Trip dates: Thursday 19th August 2021 – Tuesday 31st August 2021. 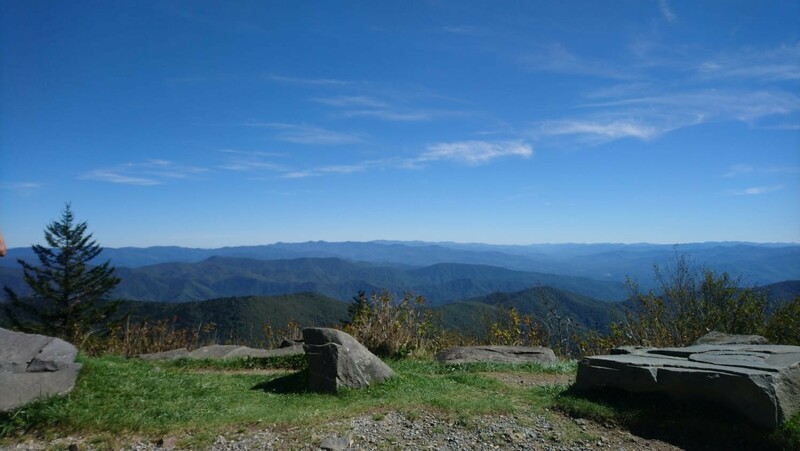 Our route covers the entire Appalachian Trail (AT) section through the Smoky Mountain Range and giving you the very best sights and amazing views. Trekking days range from 5-8 hours with distances of around 8-12 miles over the mountain routes. Participants should be in good hiking shape, have proper hiking boots & clothing and be prepared for an adventure! We only use the very best guides for our groups and throughout the whole trip you will be fully informed and very well looked after. Flights depart from Heathrow Airport and arrive in Knoxville International Airport where a private transfer will take you directly to the hotel in Gatlinburg where you will have 2 nights to acclimatize. The night prior to the trek our guides will brief you fully for the trek and you’ll have a plenty of opportunity for last minute questions. 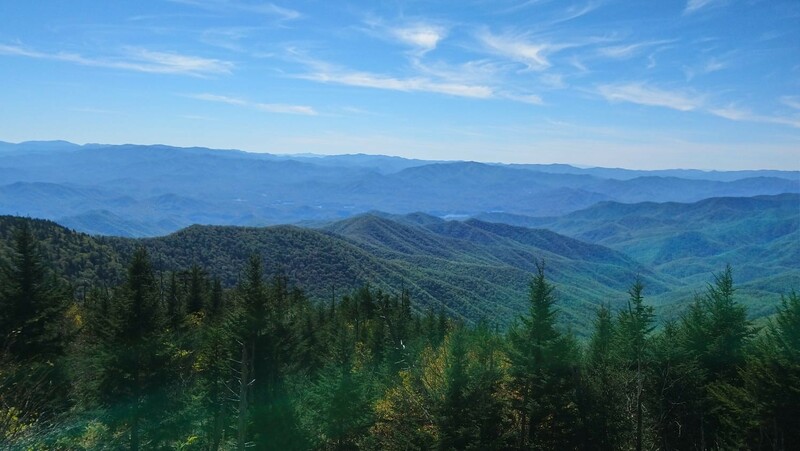 You’ll then depart on the 6 day Smoky Mountain trek following the entire Appalachian Trail section through the Smoky Mountains. The route is spectacular with lush forests, ranging rivers and clear blue skies. 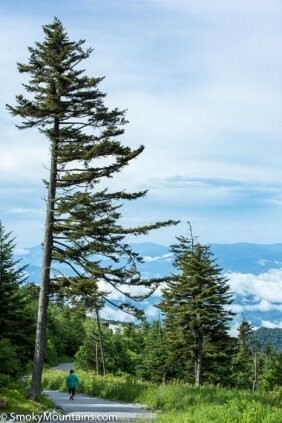 The trail finishes at ‘Clingmans Done’ which is the highest point in on the entire Appalachian Trail. After the trek you spend another night in Gatlinburg and then transfer to Knoxville for two further nights before flying back to the U.K. The two nights in Knoxville is set aside time to visit a Ranch at Corryton Tennessee and depending on the dates head to Neyland Stadium to watch an American Football game! You need to be a good hiker for this trip and although you will be walking at a sensible pace throughout the trail you will be carrying basic kit with you and this includes a sleeping bag and spare clothes. The trek is fully catered for from lunch on the first say through to lunch on the final day. For 2021 our Appalachian Trail trek departs in August. The trip will have a group size of approximately 18 clients. The following schedule is designed to give you a taste of what to expect and is subject to change depending on logistics with flights and hotels. Any changes made will always be for the better to ensure that the entire trip is amazing! You will receive a detailed itinerary 12 months prior to the trip once the flights and hotels are booked. Day 1 Fly from London Heathrow Airport to Knoxville International Airport. 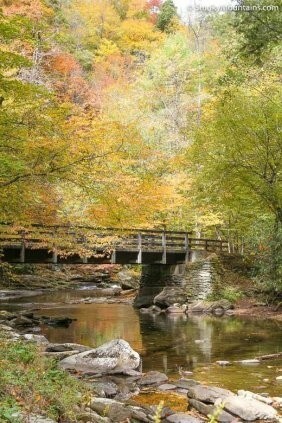 Day 2 Overland transfer to Gatinburg for hotel check-in and time to relax and enjoy the surroundings. Day 3 A full day to acclimatise and prepare for the trek ahead. In the evening you will be fully briefed by our guide about the trek allowing the opportunity to ask any last minute questions before packing your bags ready for the start. Breakfast is included. Day 4 After a hearty breakfast we drive to the Appalachian Trail head at Davenport Gap and hike along the trail for around 4 miles to our first shelter in the evening. This is an easy day to stretch your legs and acclimatise. 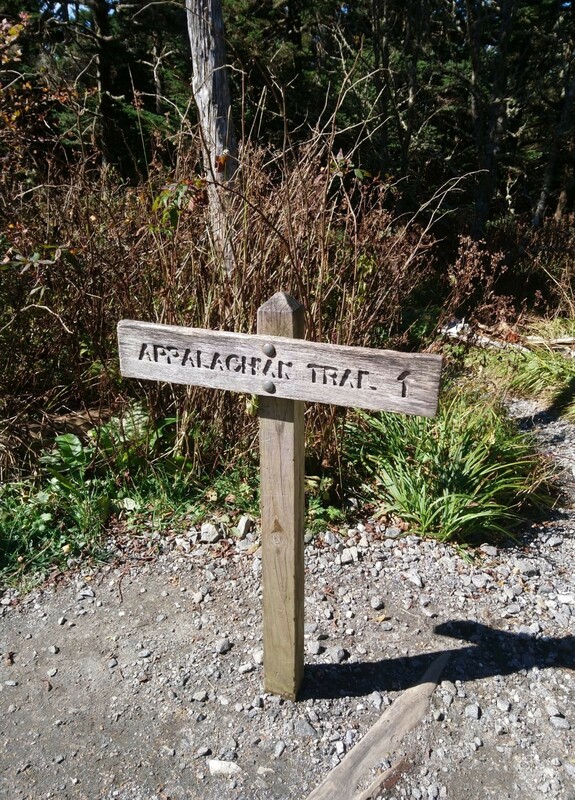 Day 5 Today you will be traversing the Appalachian Trail for the entire day with the challenge of ascending and descending multiple peaks with great views. This is a comfortable trekking day of around 10 miles where you will enjoy the diverse vegetation whilst hearing historical stories of Native Americans and European settlers. Today’s route has a side trail to ‘Old Fire towers’ where we can get spectacular views across the mountains. Tonight’s shelter is at the ‘Cosby Knob shelter’. Day 6 - This is a big trail day of around 13 miles where we traverse some of the most remote sections within the National Park boundary and cross the second highest peak in the National Park - Mt Guyot at 2,018m. The day is challenging but offers beautiful trekking through the peaceful boreal forest. Tonight’s shelter is at ‘Pecks Corner’. Day 7 - Today we traverse a continuous stretch of ridges that stay above 1,500m. This is the guides favourite section on the North side of the park. With narrow ridges and expansive views, this is not a day we want to rush through. We will have plenty of opportunity to spend time at Charlies Bunion, a fantastic viewing area before arriving at the ‘Ice Water Springs Shelter’ for the evening. Today’s trail section is around 10 miles in total. Day 8 - After another hearty breakfast, we begin our descent to New Found Gap. You’ll have an opportunity to use a “real restroom” which will make a change from the shelters and see the Rockefeller Memorial before dipping back into the wilderness and climbing an additional 5 miles to Mt. Collins shelter. 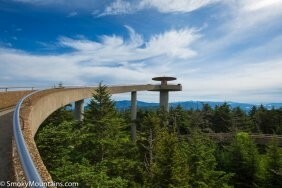 This shelter is situated beautifully in a spruce\fir Forest in the shadows of ‘Clingmans Dome’. Today’s route is around 10 miles in length. 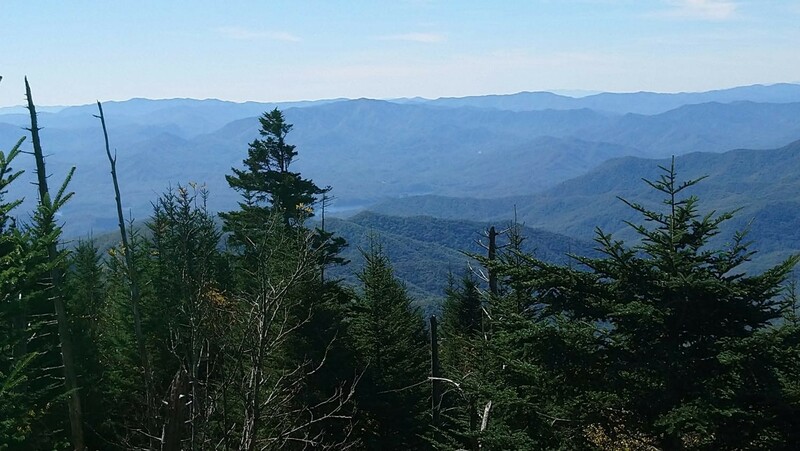 Day 9 - The highest peak on the entire Appalachian Trail is in the Smoky Mountains and is Clingmans Done at 2,025m. This is the destination for our last day of hiking. The summit is amazing and on a clear day there are views across 100 miles covering 7 different states. 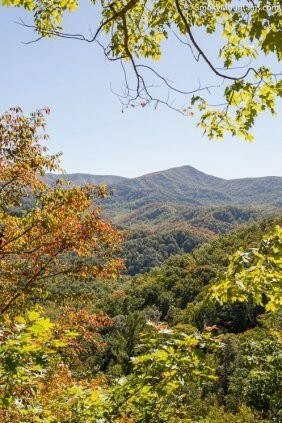 After we take in the crisp mountain air at this peak, we finish our trek at our shuttle bus and drive back to civilization and our hotel in Gatlinburg. Today’s route around 8 miles. Day 10 - The morning is spent in Gatlinburg and in the afternoon there is a transfer to Knoxville and check-in to our Knoxville hotel. Depending on the logistics there may be an opportunity to watch an American Football games at the Nayland Stadium (104,000 capacity!) and this will be arranged closer to the time of departure. 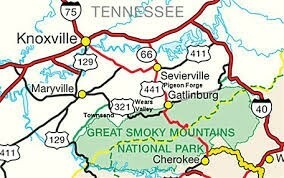 Day 11- Today is set aide to visit a working Tennessee Ranch at Corryton not far from Knoxville. Day 12 – Transfer to the airport for the return flight back to the UK or you are welcome to extend your trip as your return flight can be booked for any given day of your choice. Day 13 – Land back at Heathrow Airport. Due to the nature of this trip groups sizes are restricted to c18 people per expedition. During the hotel stay breakfast is included. During the trek we provide breakfast, lunch and dinner. The food is excellent, plentiful and varied and prepared to a very high standard. We cater very well for vegetarians and for all special dietary requirements. Throughout the trek the lodgings consists of shelters and you will need to bring a sleeping bag for comfort. Dinners and breakfasts are fully prepared by the Hut crews for the group. You will need good pair of walking boots for ankle protection and a sleeping bag plus normal walking clothing throughout the trek. Warm fleeces and waterproofs are essential as are good quality socks and a medium sized rucksack (50ltr). A training event is provided for all participants. The event provides an opportunity for the whole team to get to know each other prior to departure. It’s a fantastic event to test kit, ask questions and meet your group. All our expeditions are as ‘all inclusive’ as possible this means that the cost covers all the accommodation, flights, flight tax, transfers, guides + all food throughout your expedition. The only costs not included are excursions, VISA’s, travel insurance, tips, lunch, dinner and drinks outside the trekking days. The cost of the trip is £2,795. There is a £250 trip deposit (non-refundable) to book your place and the remaining balance is paid in small instalments.